The Tokyo International Foto Awards (TIFA) is an international competition in photography that is dedicated to identifying and rewarding talented photographers. It aims to connect participants with audiences and new eyes in the creative circles of Tokyo, Japan. All photographers are welcome to enter the competition. 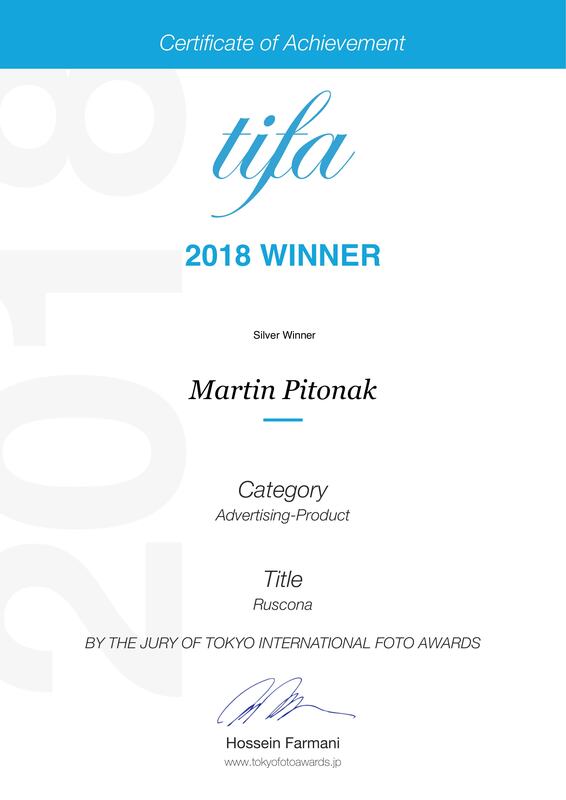 Tokyo International Foto Awards winners receive significant international publicity and extensive media exposure through both the TIFA magazine and newspaper partners distributing and promoting winners works. TIFA is operated and funded by their parent company, The Farmani Group. This leading organization has curated and promoted photography, design and architecture across the globe since 1985. Their key mission is to discover and promote talent in these areas through competitions, awards, exhibitions, developing artist communities, providing networking opportunities and education. My piece, Ruscona, claimed second place in the Advertising category for 2018. My vision was to keep the design simple yet unique and deeply orientated towards the brand and product on show. Nail polish bottles are generally a small object and require slightly different treatment than, say, photographing a large carry bag. I am satisifed with the feedback and results and look forward to submitting further work in the coming years. As a Still Life photographer, I have been creating art for as long as I can remember. By continuously pushing the envelope to capture rare, beautiful and emotionally driven images, I offer an authentic look into my clients’ lives. Ruscona is a testament to the dedication I have for still life photography and for my clients. Drawing on my technical understanding and creative drive, I focus on bringing my clients’ high-quality pictures, raised by my unique artistry, skilled eye and obsessive enthusiasm for excellence.